Modern lifestyle is extremely stressful and generally unhealthy. The body is subjected to everyday physical and mental grind, adding-up to trauma and damage to the mind and a body that needs to be detoxified. So, what is the best way for detoxification? With all kinds of studies on the options, Yoga is found to be very helpful in detoxification. It’s important to understand detoxification before looking for detoxification methods. The circulatory system, the lymphatic system, and the digestive system are the three primary systems in our body that are crucial for the waste elimination. These systems should be sturdy and efficient, but due to poor nutrition and stressful lifestyle, the body needs a support to the detox system. Yoga is picture-perfect for this support role. There are many specific asanas that help remove toxins and other wastes from the body. Here are few chosen asanas and ways to practice them. Inhale while you move the head up, and exhale while you bring it down. Rotate your neck clockwise for five times at least, and then rotate anti-clockwise for five times. Stand in a comfortable position, keeping your hands straight by the sides of the body. Rotate both shoulders in the clockwise direction, for at least five rounds. Breathe in as you bring your shoulders up close to your ears, and breathe out as you bring the shoulders down. Repeat the process for five times in anti-clockwise direction. Sit in a comfortable cross-legged position with straight back and hands resting on your knees in either chin or Gyan mudra. Inhale deeply through both nostrils, expanding the abdomen and exhale with the forceful contraction of abdominal muscles. Now, breathe in again normally and spontaneously, without making any effort expanding the abdominal muscles. Perform at least ten inhalations and exhalations. After completing ten breaths in succession, inhale and exhale deeply to complete one round. Perform at least three to five rounds. Lie down on the floor with the arms on your sides. Slowly raise the knee, inhale and bend it to touch your chest with interlocked fingers. Exhale, and bring the knee to the floor. Repeat the asana with the other knee. Place the palms on the floor on either side of the body, little behind the buttocks, fingers pointing backward and keeping the elbows straight. Raise the buttocks and lift the body upward, the head hangs back and down, with the soles of feet resting flat on the ground. 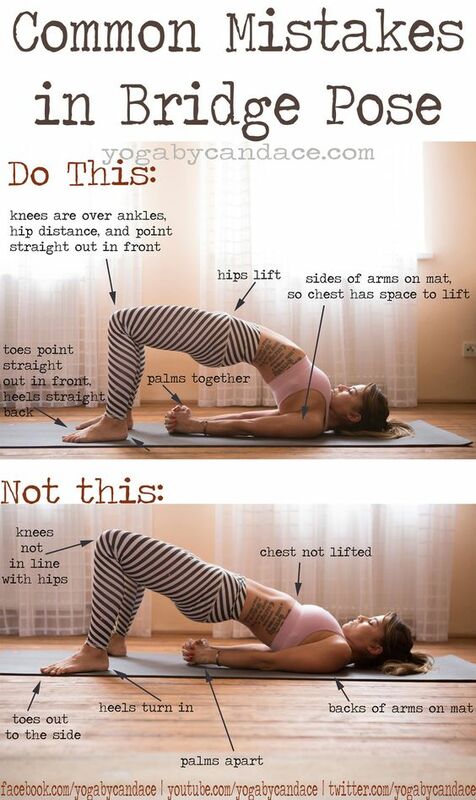 Stay in this position till you stay comfortable, then lower the buttocks to the floor. This completes one round, perform five more rounds. Lie on the ground, hug right knee into chest. Stretch arms out to a “T” on either side, allow right knee to fall to the left. Stay with a neutral neck or look to the right. Take left hand to the right thigh, allowing its weight to ground right leg. Hold for 5 deep breaths, repeat on the other side. Lie face-down, bend knees, and hold ankles. Press feet into hands, keeping knees hip-width apart. Lift chest off the ground. Hold body for 5 deep breaths. When you feel tired and weighed down by stress, just give your body and mind a reboot with yoga asanas for detoxification.